China's steel industry saw profits surge in the January-September period, alongside progress in environmental protection and deleveraging, data from an industry association shows. 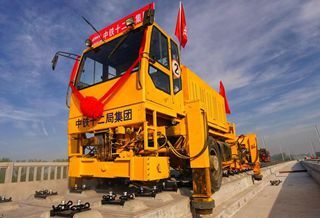 The industry's total profit soared 86 percent year on year in the period, reaching around 230 billion yuan (about 33 billion U.S. dollars), according to the China Iron and Steel Association (CISA). Profit rates of steel companies have reached the average of China's major industrial firms, reversing the situation where low profit and deficit plagued the country's steel companies, the association said. Liu Zhenjiang, secretary-general of the CISA, attributed the industry's growth to rising demand for steel and the steady price of ironstone. Output of crude steel and steel rose by 6.07 percent and 7.21 percent in the past three quarters, respectively, while the steel inventory remained at a low level, showing both strong supply and demand, said Liu. Data from the association shows the price of ironstone, a raw material for steelmaking, edged down over the past nine months, contributing to the profits of steel companies. Chinese steel makers attached more importance to pollution control and deleveraging after they gained more profits, Liu said. CISA data demonstrates the efforts of steel companies in reducing pollution emissions, with the emission volume of waste water down 1.13 percent year on year. The industry's asset-liability ratio continued to drop amid steel companies' efforts to pay back debts, which came in at 66.11 percent at the end of September, down 3.91 percent year on year, said the CISA.